Published on July 24, 2014 in Events and News. 0 Comments Tags: events, GCAP, PAX Aus, UNITE, Unity. In just over 3 months, developers from around the country will be converging upon Melbourne for all things video games. This pilgrimage of play starts with the UNITE conference on October 27 for some serious Unity sessions, then moves on to the ultimate game dev experience that is GCAP from the 28th – 29th of October, and finally finishes with a bang at PAX AUS from October 31st – November 2nd. Since there is a lot of content to consider for this big week of game dev-ery, we’ve put together the key components for your quest right here. The UNITE Conference is a one day intensive event that brings Unity engineers and game designers together to discuss the features and services coming up in Unity 5, and find out how you can make the most of them. At Unite, you’ll learn from our engineers on how to mine Unity tools for more power and flexibility in your work. Get a sneak peek at upcoming product features and new services. See what your fellow developers and artists from around the world are creating with Unity. Pick up technical, artistic and business techniques for your continued success. Tickets: $110 via TryBooking; Combined Unite, GCAP & PAX tickets also available! You can find out more about the content shared at last year’s conferences around the world at main UNITE page. You can also check out the UNITE Australia page for contact information or more details on press passes. The key point of connection for game developers across Australia, GCAP is two days of talks, workshops and networking fun. The GCAP website is officially live, so you can now head on over and explore all that the conference has to offer at your leisure. Tickets: $275 for an Early Bird Ticket (which inc. the Game Dev Awards Event), or $165 for a Student ticket (Awards event not inc.). Superpasses for the combinations of the Unite, GCAP & PAX tickets also available. Check out the TryBooking page for all the options. 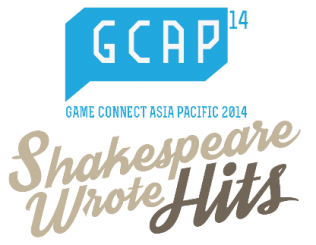 Just a reminder that there is one more day left until GCAP Session proposals close. The topic is ‘Shakespeare Wrote Hits‘ , so if you have a great idea for a talk then head on over to our previous Proposal post for more details and get working on your submission! To get you in the zone for talking about game dev, why not check out the details on the recently announced Keynotes Speakers for GCAP. These guys have traveled far to share their knowledge with us, and have worked on a pile of games you’re no doubt familiar with. There’s Siobhan Reddy of Media Molecule in the UK, part of the team behind LittleBigPlanet franchise; Ramey Ismail of Dutch studio Vlambeer, with games such as Ridiculous Fishing, LUFTRAUSERS and Serious Sam: The Random Encounter under their belt; and Barry Meade, now at Fireproof Studios in Ireland, whose résumé covers such games as Syndicate Wars, Dungeon Keeper, as well as Burnouts 3, 4 and Paradise. To read up further on what these quality keynote speakers have to offer, head on over the the GCAP Speakers page. To nominate a Aussie game, company or dev-ing individual for any of the aforementioned awards, simply check out the Submission Guidelines, then go fill out a Nomination Form. Nominations close at close of business on Friday 29 August 2014. Winners will be announced at the Australian Game Developer Awards evening to be held on Wednesday, 29 October 2014 in conjunction with Game Connect Asia Pacific (GCAP). And finally, the end of the excellent games week can be spent in the wonderful chaos of consumers at PAX 2014. Tickets: $55 for a single day attendee ticket, or $150 for a 3 day attendee ticket, available through Showclix. Superpasses for the combinations of the Unite, GCAP & PAX tickets also available through TryBooking page. If you’re not exhausted from a week of game dev discussions, why not show off your game by exhibiting a PAX Aus? With over 30,000 people likely to pass through the event, the expo could be the cherry on the cake of your extreme game dev week. If you’re interested, get in contact with the PAX Aus Sales team asap at paxaussales@paxsite.com! And last, but by no means least, there is still time to put your name down to take part in a panel about a gaming subject close to your heart. The deadline for panel submissions is August 8th, 2014, so if you’re keen then head on over to the PAX Panel page. 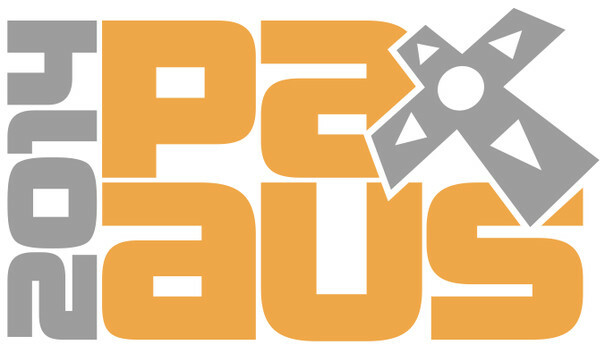 Or if you still have questions you need cleared up, simply send an email to paxaus_panels@paxsite.com. The Let's Make Games archives for the gcap tag.